As a lovely birthday surprise, we went off to Jakarta for the weekend – arrived mid-morning on Friday 1st January and left in the evening on the 3rd. So almost three full days in this surprising city that had actually never been high on our bucket list. Why? because it’s not well known as being a tourist destination and the traffic jams are legendary. With all the current news about attacks in cities worldwide, I’ll straight away mention that we stayed in a lovely hotel within 100metres from where the recent attacks took place on 14th January. We visited the Sarinah Shopping Centre a number of times and on the car-free Sunday morning, we walked just by the police post that was targeted. I think the important thing to note is that at no time did we feel unsafe, although we did notice a balaclava-ed man on the nearby footbridge filming the area with a rather professional looking camera on a tripod on Sunday afternoon. I noticed him because of his equipment, my companions because of his dressing. However, cameramen do sometimes dress a bit ‘out there’ so we didn’t feel we should do something. Perhaps we should have, though to get to the police post would have been a challenge as the road was busy at that time. Generally, we felt that security was OK – all the shopping centres had a wall along the footpath and you had to enter through a space in a gate. There were plenty of police around and in the up-market malls we dropped by, it was necessary to go through at least one manned security scanner to actually enter the building. We were certainly aware of security measures in place. Our first impression of Jakarta was ‘Where’s all the traffic?’ Even our taxi driver in from the airport was astonished at the emptiness of the highway and even when we reached the city proper, he was shaking his head – it seems everyone had disappeared for the long weekend. Monday was also declared a holiday, apparently to extend this lovely clear road situation for those who’d remained! As our room wasn’t ready, we left our bags and went off for a walk to the National Monument (MONAS). It’s 132 m tall, located in the middle of Merdeka Square, larger by a long way than Tiananmen Square in Beijing. When all the surrounding parks are included, it covers an area of 1square km. We found all the people! That is, the ones who weren’t out of town. They were visiting the monument (you can go up to the viewing gallery almost at the top for a small fee) picnicking, flying kites or shopping, eating or being entertained at the funfair in the SW corner of the park. 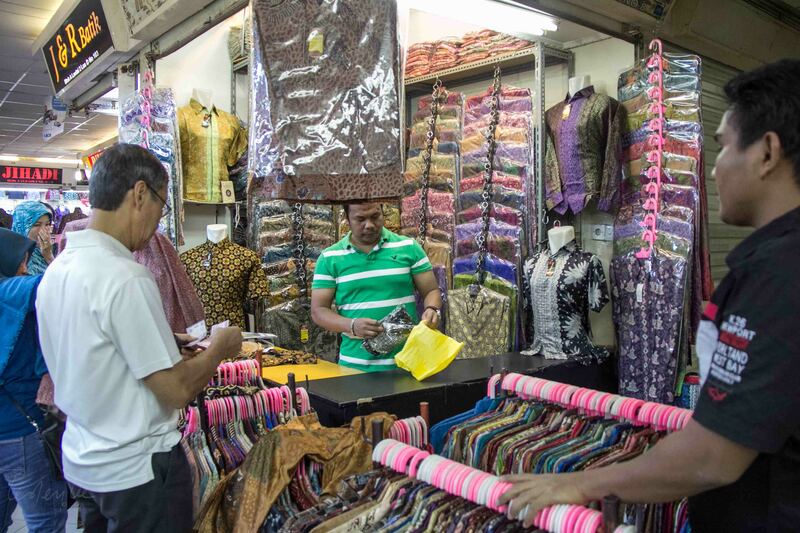 The next morning we set off along the road where we were staying, to the Tanah Abang Textile Market. It’s a multi-storey, multi building, but connected textile marketplace. 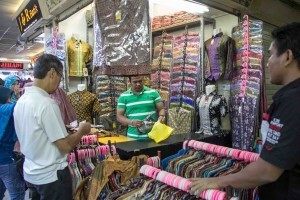 You can buy just about anything textile related from underwear to batik and costume jewellery to go with the lot. With security in mind, especially because it’s crowded both with stalls and people, we made sure we knew where the exits were on every floor as well as the location of the toilets (clean with running water and paper). You can see from the lift door, there are 12 shopping floors in this block, and it’s just one block! We located a clean and well lit food court on the 8th floor of Block A (though there are probably similar in the other blocks) with a good range of food offerings from western fast food to local specialties. 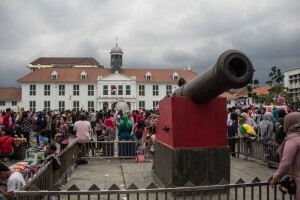 In the afternoon we visited old Batavia – Jakarta Old Town, with its remnants of the old Stadhuys and other remaining buildings from colonial times. This was also a popular destination for local visitors as it was very crowded. Plenty to see and very colourful, but it’s probably better to go when it’s less busy, to read the plaques inset in the pavement and visit the Museum, which was closed for the day. On our way back by taxi, we passed a number of burnt out buildings in the Glodok area, remnants of the riots in 1998, their stories only wondered at. On Sunday morning we joined fellow walkers enjoying their car-free Sunday morning along Jl MH Thamrin, before we headed off to try out the train, which we caught from Gondangdia Station to Juanda Station (two stops) past the National Monument, just by Gambir Station (there used to be a plantation of Gambir trees here, hence the name). It’s a short walk from Juanda to the large and impressive Istiqlal Mosque, which faces the Jakarta Cathedral, just across Jl Kathedral. At the entrance gate of the Mosque, between the church and mosque, stands a beautiful bamboo flag, commonly seen in Bali. 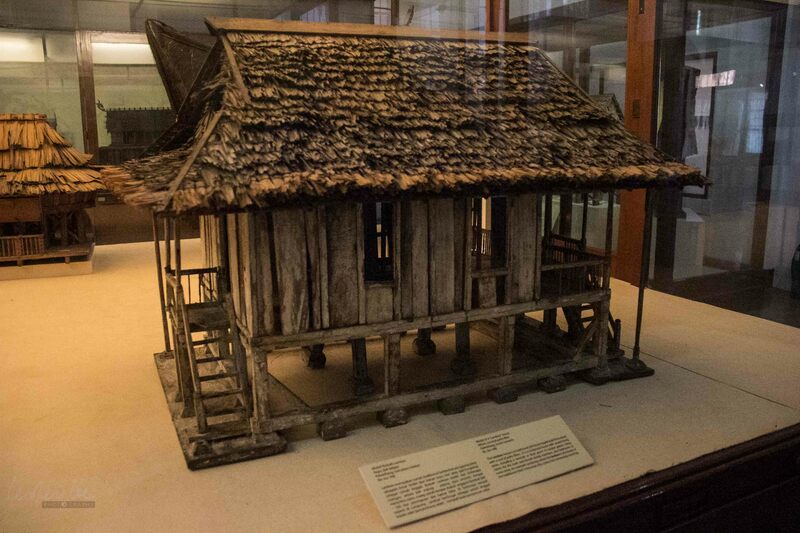 The National Museum requires more time than we had left – it’s well set out and is a wonderful showcase of Indonesian History, with well displayed and annotated relics dating back through the Buddhist and Hindu past well over a thousand years. The displays of Song and Ming Dynasty ceramics in particular is very impressive, both in quality and variety, as well as ceramics from other regions. The cultural exhibits too, are well displayed and recognition is given the the wide range of ethnicities and languages of the people of the Indonesian archipelago. Three days is not enough!